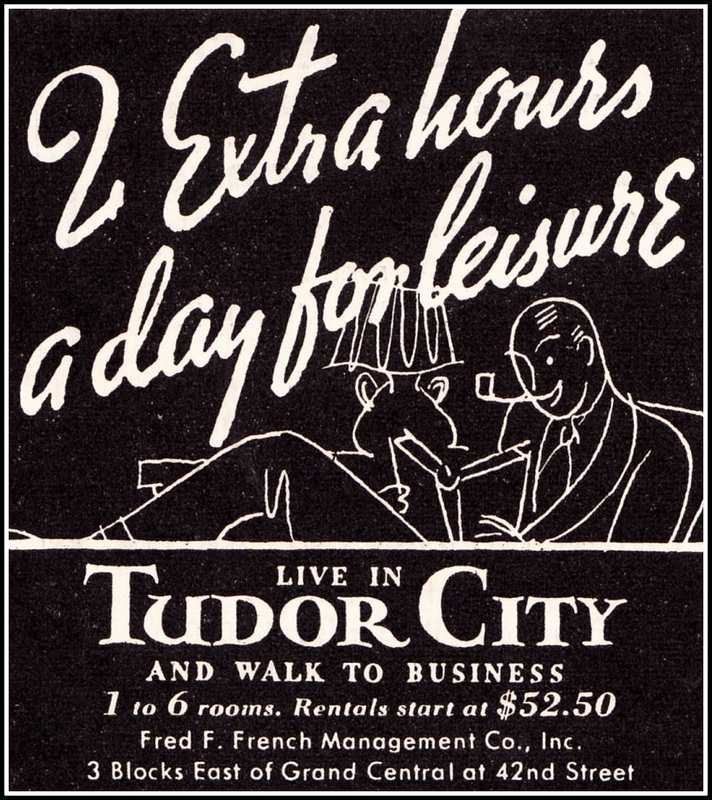 Over the years, Tudor City offered many outdoor perks -- private parks, playgrounds, tennis courts, a golf course, an ice skating rink, a beer garden, an open-air theater. 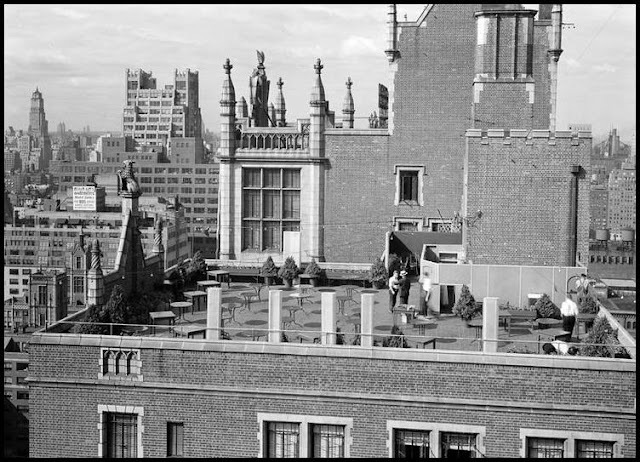 One of the least known was one of the most short-lived: a rooftop restaurant atop No. 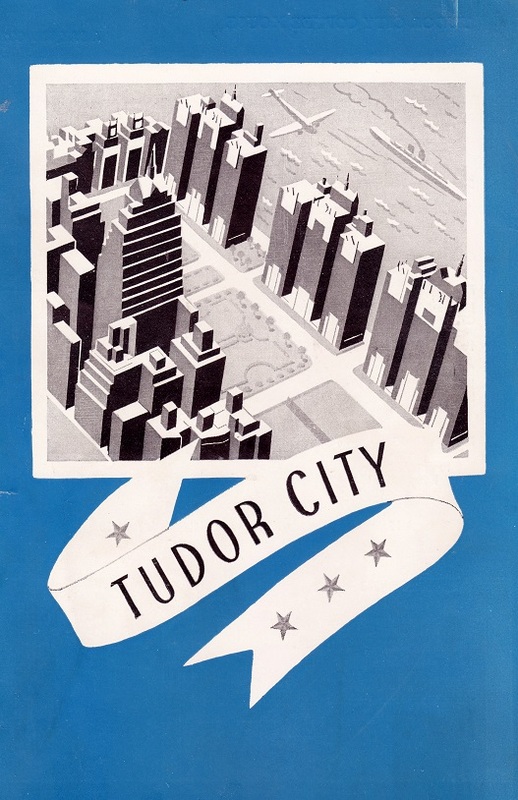 25, Tudor Tower. 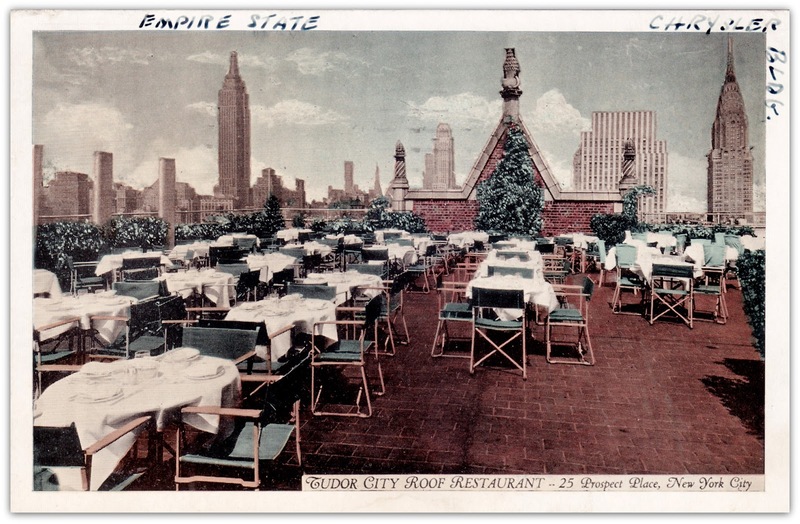 The Roof Garden, also known as the Tudor City Roof Restaurant, was a seasonal enterprise, dependent on the weather. 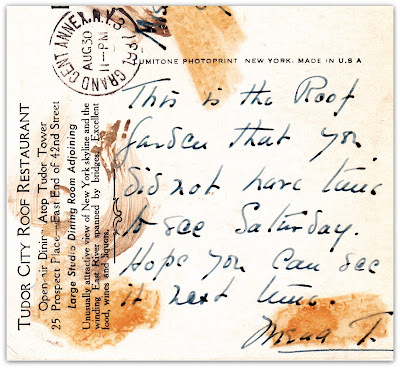 It appears to have operated for two years, the summers of '36 and '37. It was a casual spot with an equally casual menu, supplied by No. 5's onsite Coffee Shop. 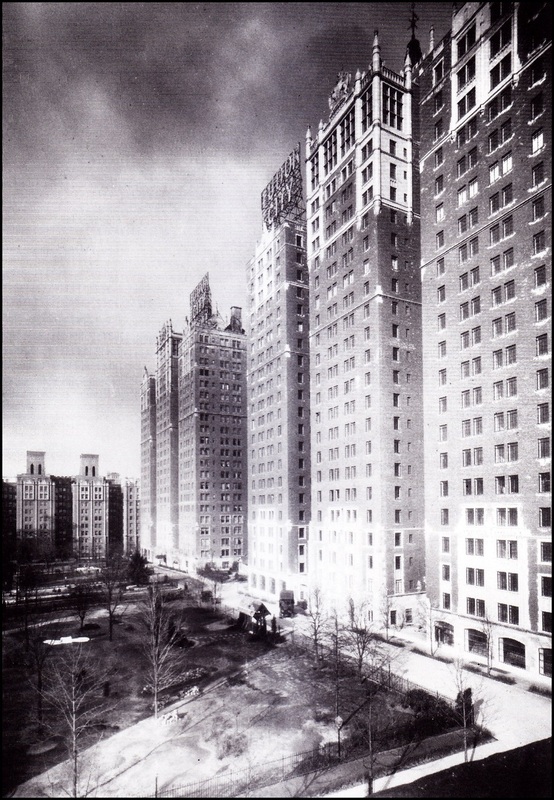 No one was paying much attention to the food, though, given its spectacular view of Midtown (below).The fixed-priced menu that cost a buck then would set you back $17.50 now. 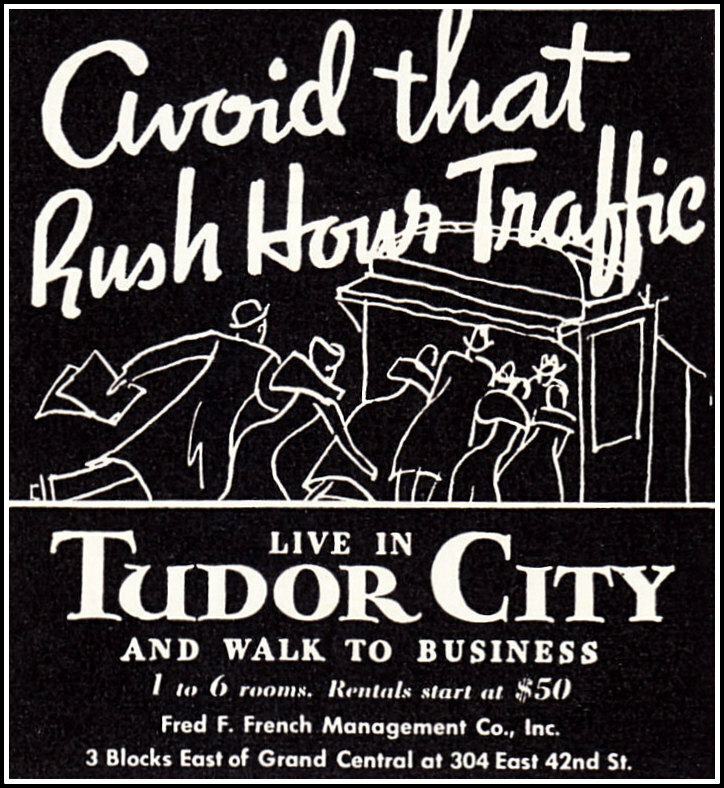 As for the Tudor City Open Air Theater, it was most likely put on by local residents, featuring outdoor movies (the "Flicker Frolics") and local actors (the "Police Gazette Players). 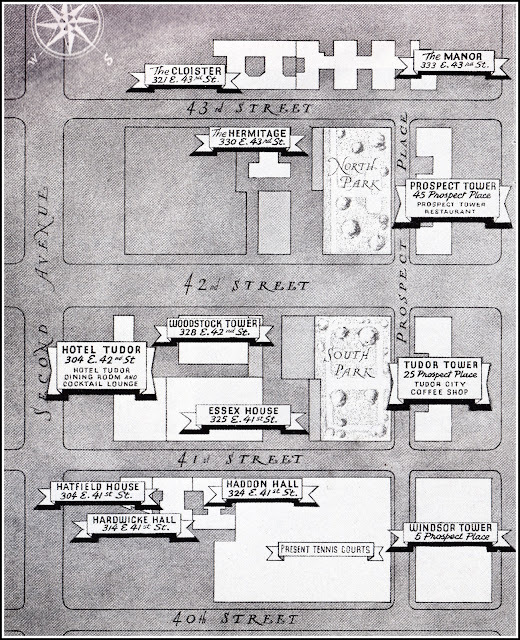 Set on the corner of the lot that's now home to No. 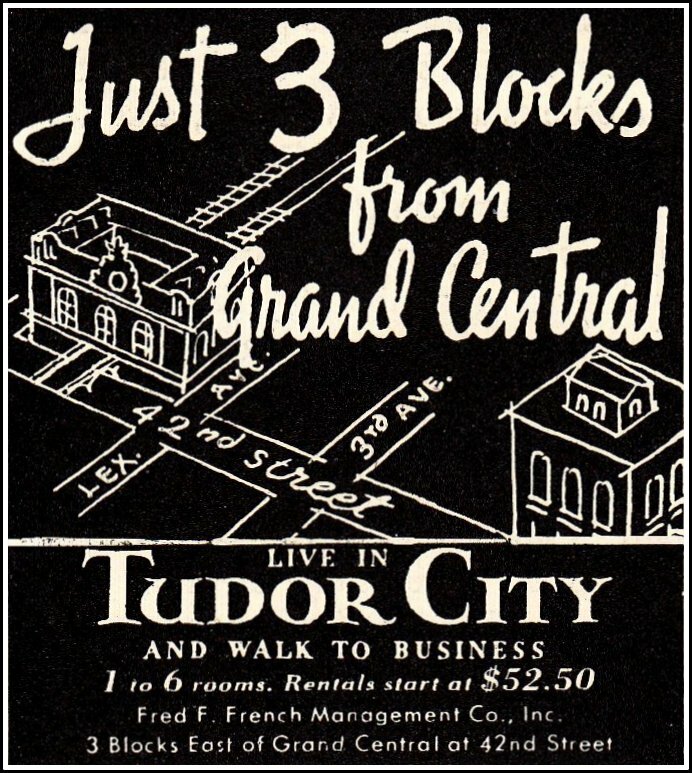 2, it was one of a number of community groups - - a camera club, a cub scout troupe, weekly bridge tournaments -- popular in Tudor City in its early days. 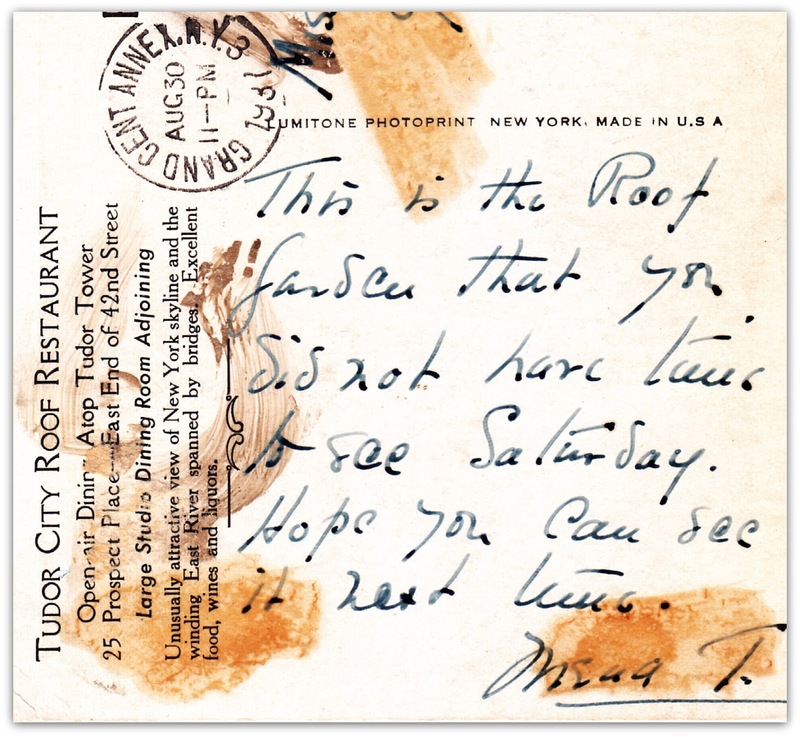 Above, a postcard of the rooftop restaurant, postmarked August 30, 1937. 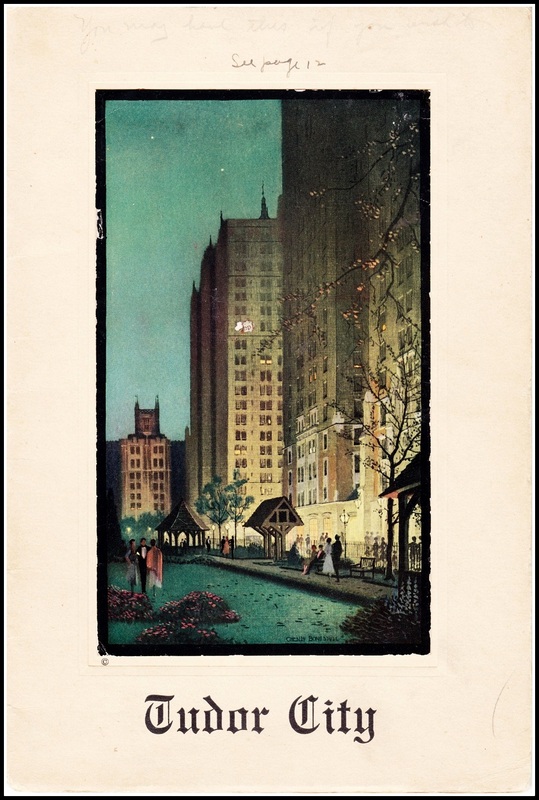 The marquee skyscrapers in the background have been helpfully spelled out by the sender.